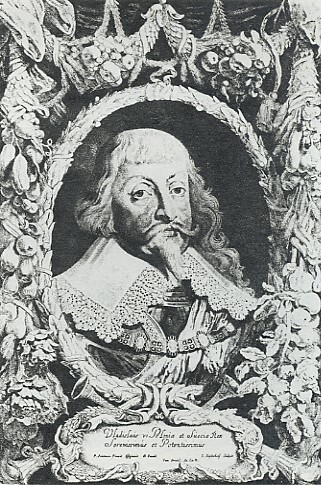 Władysław IV Vasa, b 19 April 1595 in Łobzów, near Cracow, d 20 May 1648 in Merecz, Lithuania. (Portrait: Władysław IV Vasa.) 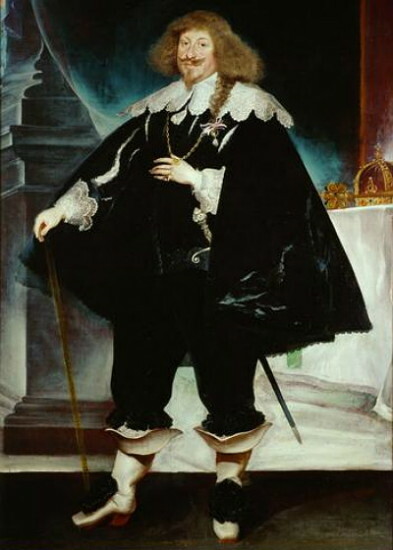 Polish king (1632–48); son of Sigismund III Vasa. In need of assistance in his wars against Muscovy (1612 and 1617–18) and the Ottoman Empire (1621), he ignored the Polish Senate's opposition and forged an alliance with the Ukrainian Cossacks, in which he arranged to satisfy their religious demands. At the elected Sejm of 1632 he headed the commission which drafted the ‘Measures for the Appeasement of the Ruthenian People of the Greek Faith that Live in the Kingdom of Poland and the Grand Duchy of Lithuania,’ by which Ukrainian Uniate and Orthodox metropolies were both granted legal jurisdiction (the latter had been outlawed by the Polish authorities in 1596). After the cessation of hostilities with Muscovy, however, Władysław did not honor those measures. Cossack armies commanded by Ivan Sulyma destroyed Kodak in 1635; the Pavlo Pavliuk rebellion erupted in 1637; and Dmytro Hunia and Yakiv Ostrianyn led an insurrection in 1638. All those were brutally suppressed, and through the ‘ordination’ of 1638 the Cossacks were put under the command of Polish officers. In 1646 Władysław initiated secret talks with Cossack leaders (especially Bohdan Khmelnytsky), in preparation for an anti-Turkish war. He again promised to renew the Cossacks' privileges, but neither the plans for war nor the promises were realized.